For the past 48 hours I have been seduced by the fruit that caused all the trouble in the first place. Or was it the serpent that was the evil one? The quince, it seems, way pre-dates the apple. Not only is it thought that it was a quince, and not an apple, that was growing so temptingly in the Garden of Eden, but it was also a quince that started the Trojan War. 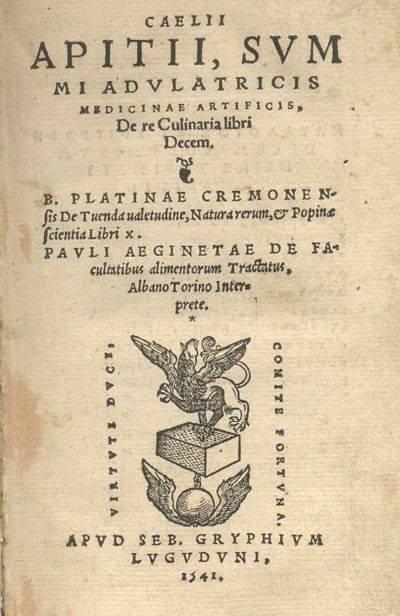 A much loved fruit from mythical times through mediaeval times, Cydonia oblonga appears in De Re Coquinaria (On the Subject of Cooking), a collection of Roman recipes thought to have been compiled in the late fourth or early fifth century and attributed to Caelius Apicius. 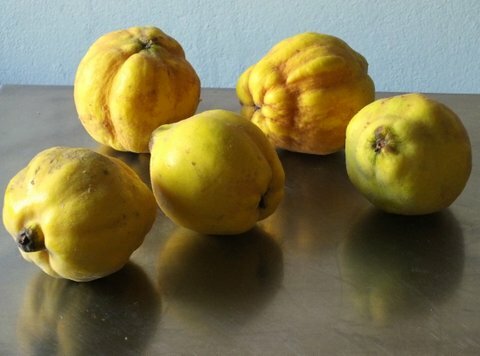 A DISH OF QUINCES IS MADE AS FOLLOWS: QUINCES ARE COOKED WITH LEEKS, HONEY AND BROTH, USING HOT OIL, OR THEY ARE STEWED IN HONEY. I was delighted to see that lovage features large in what must surely be the original cook book. I was charmed by the rose wine and the violet wine. The puréed parsnips sounded divine. I was intrigued by the In Ovis Hapalis – poached eggs served with pepper, lovage, nuts and honey. I’ll skip the stuffed dormouse, sow’s udder and the rose petal and calf’s brain dish. But I digress. The quince is, in some quarters, out of favour and is certainly not appreciated by those with no intimate knowledge of its charms. But it is a truly rewarding fruit if you are prepared to spend an hour or 48 in its company in the kitchen. The quince, along with the prickly pear, was one of the fruits that was held in high regard by my mother. It was one of the fruits that for me was a symbol of her idyllic childhood spent swimming in farm dams and rivers. In my childhood, venison as well as ‘ mock venison’ was always served with quince jelly. I spent quite a few hours in Google’s company when I came home from the shops with six velvety chartreuse quinces. By the time I had scoured Google – and all my recipe books too – I found myself running back down to the greengrocer to buy an additional box of quinces. And then I settled in for a weekend in thrall to the quince. The first thing I made was membrillo. Well, to be honest I actually made a version of River Cottage Quince Cheese. I followed their instructions exactly except I used less sugar – 75% of the weight of the quince pulp. And mine took a little longer than theirs, possibly because I cooked it on top of our anthracite burning Godin stove. I was rather pleased that I didn’t have to use any additional energy to cook the membrillo. While the membrillo was cooking I made supper – shoulder of lamb seasoned with salt and pepper cooked on a bed of leeks, quince halves, and thyme. Cook it at a low temperature of 150C for about four hours, tightly covered, and you’ll end up with silky leeks, soft quinces with a haunting depth of flavour and lamb that falls off the bone. Thank you to Apicius for the idea of cooking quinces with leeks. Now I need to get back to De Re Coquinaria to see how to cook that flamingo I have tethered in the back yard. And then of course Hugh Fearnley-Whittingstall has a few other quince recipes worth trying as does Nigel Slater. I have unfinished business in Istanbul. All of it is to do with eating. Eating more. Eating more of exactly what I ate at the charming restaurant in the Çiçek Pasajı where Andy and I were filming a group of young Istanbul residents, call them our subjects if you like. I’d specially like to eat more of the deniz börülcesi or samphire that I was so excited to see was one of the huge selection of hot and cold meze that they ordered. The numerous bottles of raki that were also ordered were the perfect accompaniment to the meze. Not that we were tempted to join in after accepting just one glass of the anise flavoured drink, since this was after all a normal working day for us. Andy filmed the entire meal – and here are a few frame grabs from the footage. And then there was the kaymaklı lokum from Ali Muhiddin Hacı Bekir. Hacı Bekir opened in 1777 and is currently run by the fifth generation of the Hacı Bekir family from the same location. 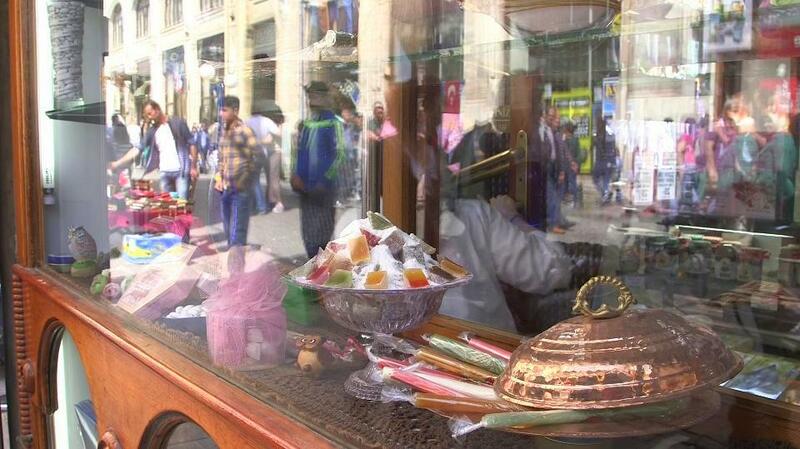 Although the shop is filled with every flavour of Turkish Delight imaginable, the kaymaklı lokum – filled with clotted cream – was what our subjects bought. We couldn’t fault them on their choice of meze the night before and we most certainly could not fault them on this choice. The cool, slightly tangy, creamy filling that seeped into my mouth as I ate the kaymaklı lokum was such a surprise, and such a joy, that it is now on my top ten best foods of all time list. I definitely have unfinished business in Istanbul. Take a look at this video to see how kaymaklı lokum is made.